Truck blind spots are commonly referred to as a No Zone and present some of the greatest dangers on the roads and highways of Arizona today. All Arizona motorists must pay special attention when traveling in close proximity to any large commercial vehicle. These types of trucks are especially hazardous due to their enormous size, weight, and structure. According to the U.S. Department of Transportation (DOT), over 413,000 motor vehicle collisions are caused by truck blind spots each and every year. Of these 413,000, about 160,000 people suffer a traffic fatality due to some kind of blind spot-related issue. Clearly, truck blind spots are a serious problem that all Arizona drivers must pay attention to while reflecting their driving habits accordingly. Phillips Law Group has seen far too many accident victims who have suffered due to a failure to recognize when they are traveling within a truckers blind spot or No Zone. Since these vehicles can weigh upwards of 80,000 pounds, avoiding an accident with them is essential to safely navigating from one destination to another. 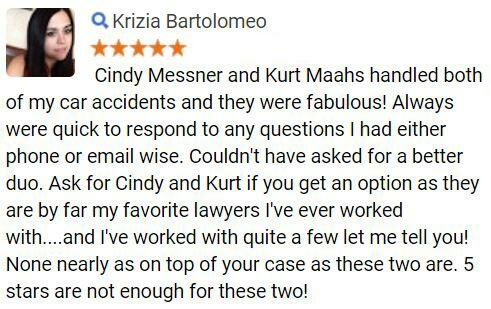 If you or a loved one has been involved in a crash due to truck blind spots, our Phoenix personal injury lawyers are here for you. To learn more about your legal options, please complete a Free Case Review form on this page. Every vehicle on the road maintains some type of blind spot where they are unable to see a vehicle traveling in this specific location. However, due to their large structure, commercial trucks and other large vehicles have a sizeable blind spot in more than one location. When traveling within truck blind spots, the passing often disappear in the eyes of the truck driver. Therefore, it is imperative for all Arizona motorists to be aware of these spots to avoid driving within them. Trucks maintain both a side blind spot and a front blind spot. The side blind spot refers to the region where the trucker is unable to see the vehicles passing in a particular spot on the side of the truck. Therefore, when passing a truck it is essential to be able to see the truck drivers face. If you cannot see the truckers face in his or her side window or mirror, this means that the trucker cannot see your vehicle. In contrast to a side blind spot, trucks also maintain a front blind spot. This refers to the area in front of the truck in which vehicles disappear. When passing a truck all drivers must ensure that they can see the entire front of the bus in the rear-view mirror prior to pulling back in front of the truck. Keep in mind that it takes trucks about twice the stoppage time than that of a standard size vehicle. If you or a loved one has been involved in a motor vehicle collision involving truck blind spots, you may be entitled to compensation for the losses in which you have endured. 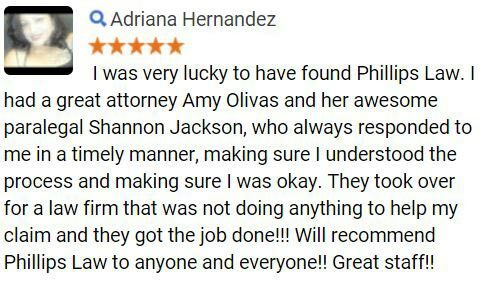 Phillips Law Group is prepared to take on your case today with diligence, knowledge, and a deep passion for the law. For more information, please complete a Free Case Review at your earliest convenience. The ability to avoid a trucks No Zone is essential to safely traveling on the roadways of Arizona. One of the biggest mistakes a motorist can make is to assume that a passing truck is able to see their vehicle. As a general rule, all Arizona drivers should keep in mind that if you are unable to see a truckers mirrors, it is likely that the truck is unable to see you and your vehicle. Tailgating is one of the biggest issues of being involved in a No Zone collision. When traveling directly behind a large commercial truck it is critical to keep a safe distance for a number of reasons. First, tailgating in the rear No Zone physically hides your vehicle from the truckers vision. In addition, traveling in this area disables the drivers ability to see in front of them. Therefore, it is essential for all Arizona motorists to exercise extreme caution when traveling behind, in front of, or on the sides of any large truck. 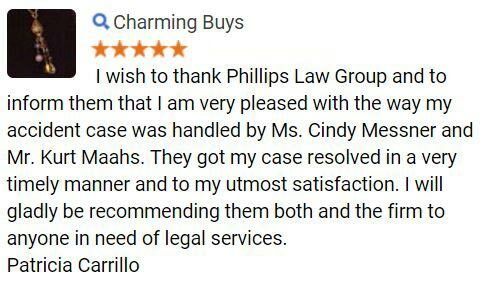 Phillips Law Group has years of experience in truck accident litigation. Truck collisions in the state of Arizona differ significantly from standard motor vehicle collisions. Therefore, it is critical for accident victims to seek the counsel of a professional personal injury lawyer to understand every aspect of the litigation process. 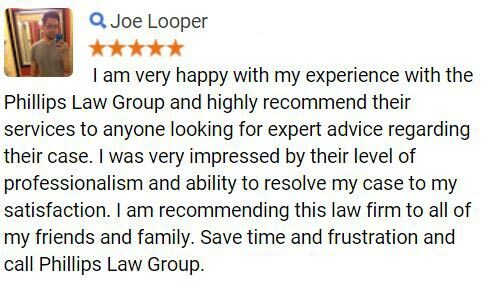 At our firm, our experienced, knowledgeable staff will sit down with you to get to know both you and your case. Using this approach, we allow our clients to focus on recovery while we work on all aspects of the legal proceedings. To learn more today, please fill out a Free Case Review form.